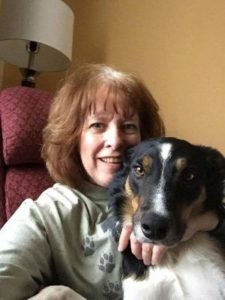 Arlyn has been training dogs since 1995, when she rescued her first Border Collie, Sadie. She has been competing in agility since 1996. She has been judging AKC agility for 18+ years, and is also a UKI judge. She currently shares her home with BCs, Racer, Rookie, Spud (BC wannabe), Elvis (Tripawd), Mick, and Flick( the baby). She also had an Australian Cattle Dog, a Giant Schnauzer, and a Norwegian Elkhound. And if that wasn’t enough, she also has birds. In addition to agility, her dogs love herding, swimming, frisbee, and dabbling in Obedience.